Bar and restaurants change their menus to expand food options for consumers with regularity. Daily or weekly specials, seasonal fare, and twists on classic dishes are ways to keep consumers engaged by appealing to their ever-changing preferences. But are you appealing to their beverage tastes by offering more than soda? Expanding your product options benefits your business and your consumers. As a business owner, you take the initiative to be successful. This includes hiring and training the best staff, being smart with marketing, and partnering with the best vendors and distributors. Your goals likely include having a great reputation, supporting your community, and being profitable. Establishing those goals is key to the relationship you have with your vendors. For Bernick’s customers, that’s where our partnership begins. Understanding your goals so we can help you hit them. In 2017, one of our goals is to further support our customers in order to better serve consumers. Think of your servers and bartenders when they greet new patrons. Introductions and welcomes are exchanged for good hospitality. Beverage napkins are set in front of the guests. Offering beverages is the first step in the service process. What can I get you to drink? Your servers are smart and prepared, and they can recite your draught beer list, mention any happy hour specials or promotions, and tell your guests you carry Pepsi products. When consumers hear Pepsi products, they’ll associate it with the obvious. Pepsi, Diet Pepsi, MTN Dew … and probably think of a lemon-lime soda too. That’s often the extent. How will your patrons know your portfolio extends far beyond carbonated soft drinks (CSD) unless your staff is telling them? By making it a part of their training and their role. If your staff can recite the rotating beer options or varieties of house wine you pour, they can run through your non-carbonated options alongside your soda options, too. You know your consumers’ habits and are aware that soda consumption isn’t as prevalent as it used to be. And, if a table of four orders just water and lemon, your server (and your bar or restaurant) is seeing a decrease in ticket sales of anywhere from $10 to $12. There is such opportunity to bridge that gap with more communication and more education. Here’s how. In terms of trend and popularity, hydration is the new black. Your patrons will always order a beverage with their meal. Always. And, they’ll always assume you have soda available on fountain or gun. Consider the advantage your establishment has to offer more in terms of hydration – like non-carbonated options including sparkling, flavored, and enhanced waters. PepsiCo has some pretty exciting and innovative things on the horizon in terms of non-carbonation products for 2017, and we'll be the first to share them with you. Consumers' tastes may be shifting from less of CSD to other premium offerings, but they still want options, customization, and the ability to choose from a bigger menu. 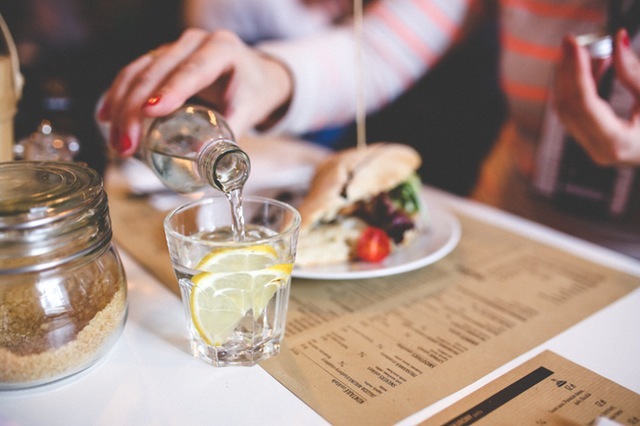 2016 was yet another big year for sparkling water – why not capitalize on that success and offer it in your restaurant or bar? You can expand your product offerings without hurting your budget. That’s what your team at Bernick’s is for. We desire a mutually beneficial relationship. Your success is our success. Our team has access to the resources and information to help train and excite your service team on product innovations and consumer habits. Communication is always free, and we want to understand your business’s challenges and opportunities in order to promote your success. Think of the tables in your bar and dining room. What’s on the table beside salt and pepper or silverware? Is there a table tent or menu board that features your specials or lists your beers? Think how your consumer thinks. You can list the soda alternatives and hydration options you offer so they’re already engaged and thinking outside the standard soda or water and lemon route they usually take. Ask Bernick's how we can help your business, your budget, and your bottom line.